Beyond standard. The PSW Energy range of Fronius solar energy systems boast not only highly reliable Fronius inverter technology but are accompanied with an industry leading installation warranty and expert local technical support by PSW Energy to ensure you can maximise the performance and operation of your Fronius solar system long-term. Battery ready? 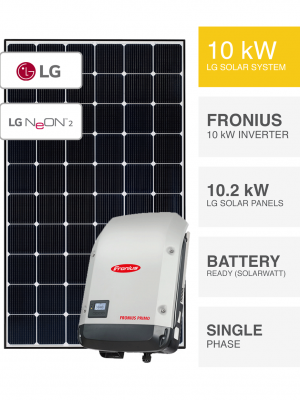 As a technically backed company, PSW Energy has ensured all Fronius solar systems within its range are 100% low fuss, battery ready. The key is in the correct battery selection for the task. To reassure yourself of such compatibility, why not visit the PSW Energy Research Centre and see first hand Fronius Primo & Symo models working seamlessly with world-class solar battery technology. Build your own. Prefer a combination of two Fronius solar direct options? We can build an option to suit your preferences. Listed below are basically PSW Energy common product pairings. Define your own path and enjoy the energy saving freedom you’ve designed.